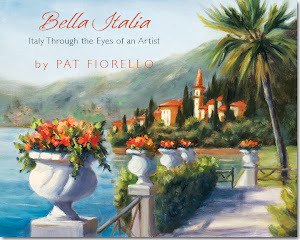 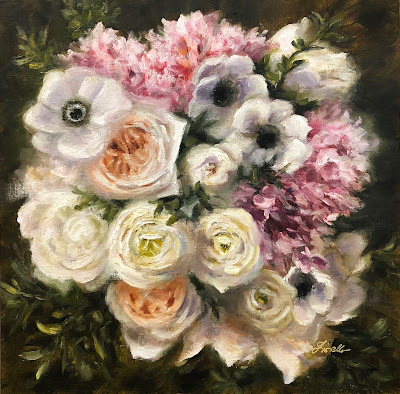 Pat Fiorello - Art Elevates Life: "Charleston Dreams"
"Charleston Dreams" was inspired by the beautiful bouquet of this new bride who got married in Charleston earlier this year. 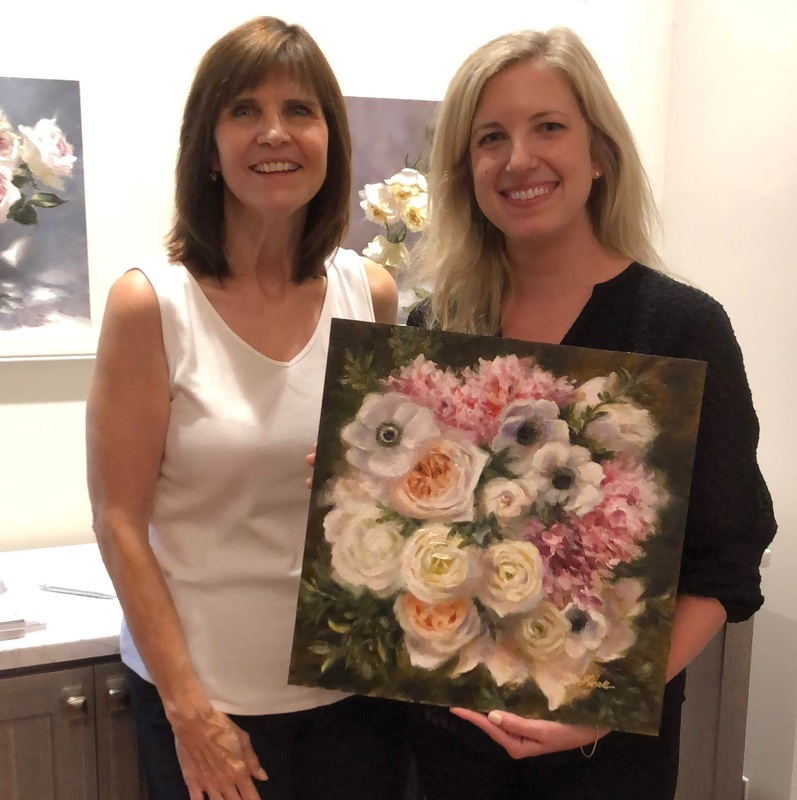 Often I don't get to meet the brides if they are long distance, but Elyse is right here in Atlanta so she was able to come to my studio to pick up her painting in person today. So nice to see the joy on her face when the painting brought back the memories of her beautiful wedding flowers and her wedding day.